Make money online while travelling from web advertising. There are a few website owners that have cracked the code with earning an income from web advertisements. 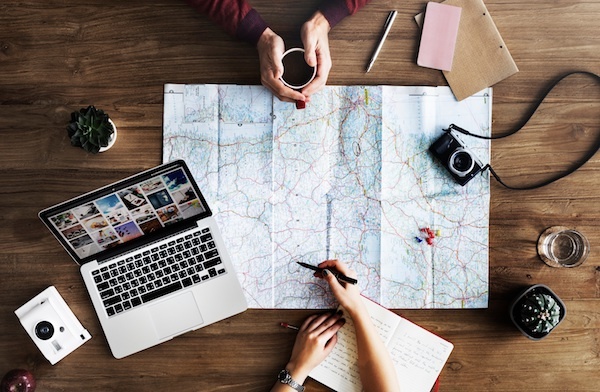 Ad networks like Adsense and Propeller ads can be a lucrative way for people to earn an income while they are travelling. Not everyone is able to make a full time income from web advertisements, but it can still help you build your income portfolio. In order to earn an income from Adsense, you need to start a website. You can easily start an account with a web hosting provider like Bluehost. The fee per month is around $4 and you should be able to install a WordPress site with a 1-click install. 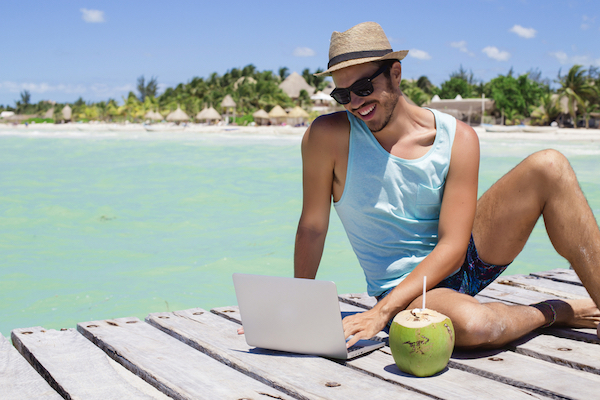 You can view this guide that goes into more detail about how to start a travel blog. Once you have installed WordPress, create content on your website and start building web traffic to the site. Your ideal target is to get 400-500 visitors daily to the site. It’s important that you select the right niche audience for your website. The right niche will not only attract the right people to your website, but you will also attract advertisers who will be willing to pay higher advertising fees for appearing on your website. One of the easiest ways to check the advertising rates that advertisers pay is by visiting Google’s Keyword Planner. In the screenshots below, I will show you how you can do some research for a niche. For the sake of this example, we will look at a theme around buying car insurance. You can see that the advertising rates (known as CPCs or cost per clicks) are quite high. So if one person clicks on the ad, they will pay between $30-40 every time. Pay attention to the advertising rates and the search volume. This will give you an idea about the size of the market that you are writing for and the amount of money that you can potentially make. Adsense is by far the most popular ad partnership program on the internet. There are people making hundreds or even thousands of dollars every day from Adsense. This is because the revenue split is up to 68% for the web publisher and 32% for Google. .
You need to get enough web traffic that will allow you to earn an income from the ads being displayed on your website. Most successful Adsense publishers say that you need alot of traffic to start earning a daily income. For example, Ahmad Raza, the founder of Wise Toast currently has 5000 visitors a day to his website and makes around $7-14 a day. There are stories of Adsense publishers whose sites make up to $100 a day, but most Adsense publishers need to diversify the income streams on their blog. Search engines are an optimal way to get free web traffic. You can optimise your site with SEO to rank your web site on the first page of Google. You can learn how to apply this by purchasing the SEO ebook ‘How to rank on Google’ or you can learn more about white hat SEO strategies via tutorials on YouTube. You can track your website’s earnings from Adsense by paying monitoring the reports in your dashboard or linking Adsense to your Google Analytics report so you can see exactly which pages are generating you the most amount of revenue. If you have a site already, then see how you can start earning an income from Adsense on your website. If you are a beginner, follow the guide to identify a target audience that can earn your site an income over the long-term. How anyone can choose to live their dream lifestyle! What I figured out was it wasn’t about becoming super rich, it was about achieving your dream lifestyle. My corporate career allowed me to manage a digital marketing agency in London and also work with award winning global agencies such as WPP. Some of the clients I worked with were the hardworking small business owners, some were millionaires (or in one case, billionaire). It’s no secret that money makes the world go around, but money doesn’t drive our passions. The stuff that we love to do for free are what drives our passions. In my life, there were always three passions that always stood out for me. I used to be a track and field athlete in my younger days and I now enjoy going to the gym. My goal was always to get a Brad Pitt six pack from Troy. I always wanted to travel the world and explore new cultures. Having the chance to be immersed in a new culture and learn a new language. I love to do business marketing. My forte is in digital marketing (and I was an SEO specialist when I was working in my corporate career), however I have always loved the notion of building campaigns that attract customers and that allows them to buy into the brand. There are so many tasty dishes in this world. Expect to see mouth-watering cuisines. How much do we need to actually live the lifestyle that we want? This depends on the type of lifestyle you want to achieve. 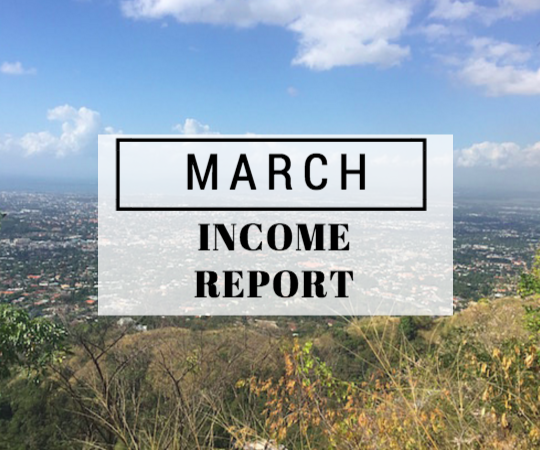 In my line of work, I was regularly engaging with web entrepreneurs like travel bloggers who were making a full-time income while they were on the road. In some cases, they were earning more than the rest of us working full-time jobs in London. When I would see the activities they would do, the places they would stay and the readership that they would have, I would be in awe. Here I was in London managing a business that was making ten times more than what these guys were making, yet they seemed to be living the dream life while we were looking forward to our 4 weeks of holidays a year. I felt like there had to be a better way. And that is where the cash flow management came into play. 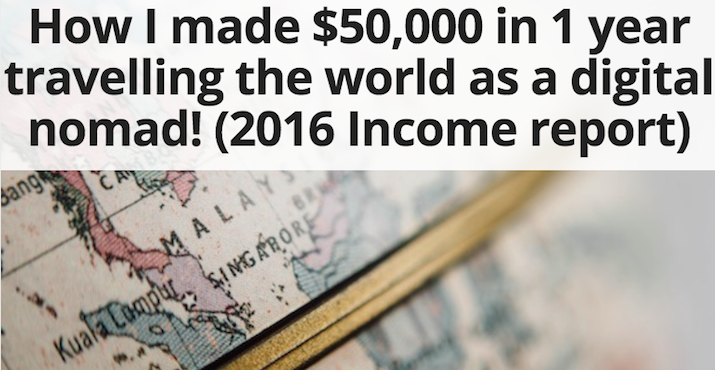 It seemed that the average backpacking blogger could survive in South East Asia on as little as $1000USD a month. ($12,000USD a year). After leaving my job and backpacking around South East Asia with my wife for 3 months in 2014-2015, I figured that we could enjoy full-time travel on as little as $2000 USD per month. Saying this, it is a basic lifestyle. The more you earn, the more pampering you can give yourself. With this in mind, I’ve set a target for both my wife and I to earn at least $2000 each month from the Lollivia Living brand. (This includes our videos, social media channels and website). Whatever success we learn, we are going to share it with you and we will encourage you to join us on our journey. Our first stop was in Ubud, Bali.